Tamil National Alliance Parliamentarian M. A. Sumanthiran has stated that the expulsion of Muslims from North was an act of ethnic cleansing. Eviction of Muslim community from North within 24 hours was nothing but ethnic cleansing he said. 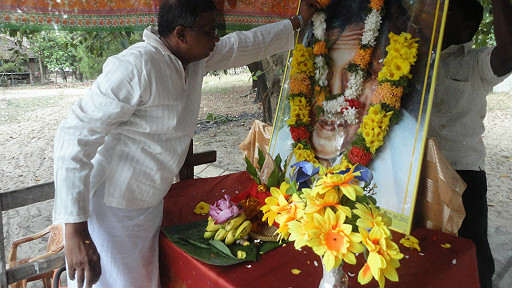 Sumanthiran made these comments which he described as the “bitter truth”, at the 36th death anniversary of S.J.V. Chelvanayagam meeting held in Vantharumoolai, Batticaloa. Chelvanayakam is the founder of the Ilankai Thamil Arasu Katchi also known as the Federal Party. “The international arena will not accept that ethnic cleansing is in progress against us until we accept that we are also responsible for ethnic cleansing”, Sumanthiran further stated. He questioned whether it is fair for them to neglect the Muslim community in Sri Lanka and request the international arena to mediate in preserving the rights of Tamil community. “Australia must talk about us.US must talk about us. All states in India must talk about us. But we should not talk about the Muslims. Is this fair?” he questioned.